Barry N. Malzberg's science fiction career began an agent for the Scott Meredith Literary Agency in New York in 1965, and he has seen the field from many angles, as reader, writer, editor, agent, and critic. He began publishing short stories in 1967, novels in 1970, and became known as a prolific writer of fiction that took a sardonic view of the meaning - or lack thereof - in individuals’ lives and undertakings, to the point of occasionally being labeled anti-SF in his outlook. Notable novels include Beyond Apollo (1972), winner of the first John W. Campbell Award; Herovit's World (1973); Guernica Night (1975); Galaxies (1975); and The Remaking of Sigmund Freud (1985). 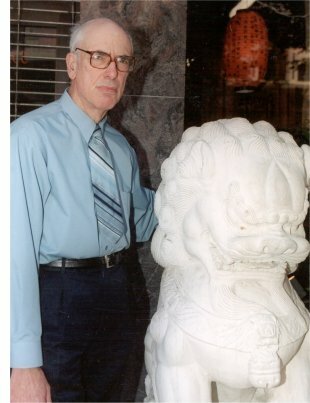 His many short story collections include The Passage of the Light: The Recursive Science Fiction of Barry N. Malzberg (1994) and In the Stone House (2000). His collection of critical essays The Engines of the Night: Science Fiction in the Eighties (1982) won a Locus Award. He lives with his wife Joyce in Teaneck, New Jersey. ‘‘...[I]f you keep on and ask me what I love about science fiction, I’ll reply: I think science fiction is, along with jazz, America’s great contribution to world culture  it’s as great as jazz, as profligate, as wonderful. As David Brin has said, you’ve got to look to the 19th-century Romantic Movement in music and literature to find something of comparable importance. The full interview and biographical profile is published in the April 2002 issue of Locus Magazine.